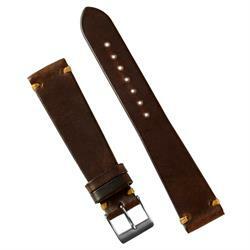 If you like brown boots, leather belts, and wearing a sweater, then you're going to love this strap! 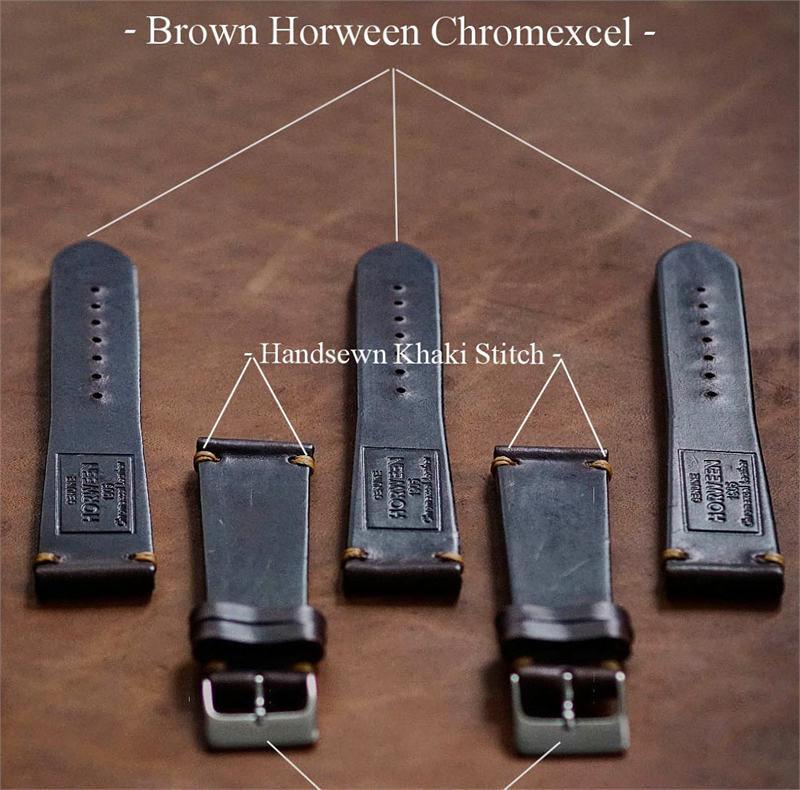 Crafted from chromexcel leather from Chicago's renowned tannery, Horween Leather Co which dates back to 1905, there's definitely a lot of heritage & history going into each strap. 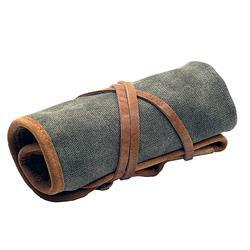 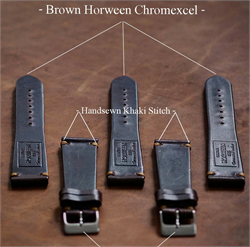 Horween Chromexcel is a rich pull up leather infused with natural oils & waxes. 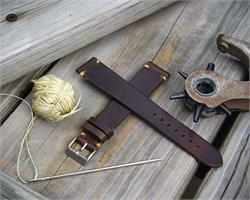 With wear, you'll experience first hand as the strap's patina process develops. With attention to detail, each strap is taper cut with precision revealing the straps edges to enhance the vintage look. In it's final stage, each strap is carefully sewn by hand with a premium waxed khaki thread.